I originally posted a map of the settlement at Jando’s Arch (officially the town of Hejmarko) back in December of 2015, and several comments across the various media sources commented on how the arch wouldn’t last long because of the river flowing across to the waterfall. 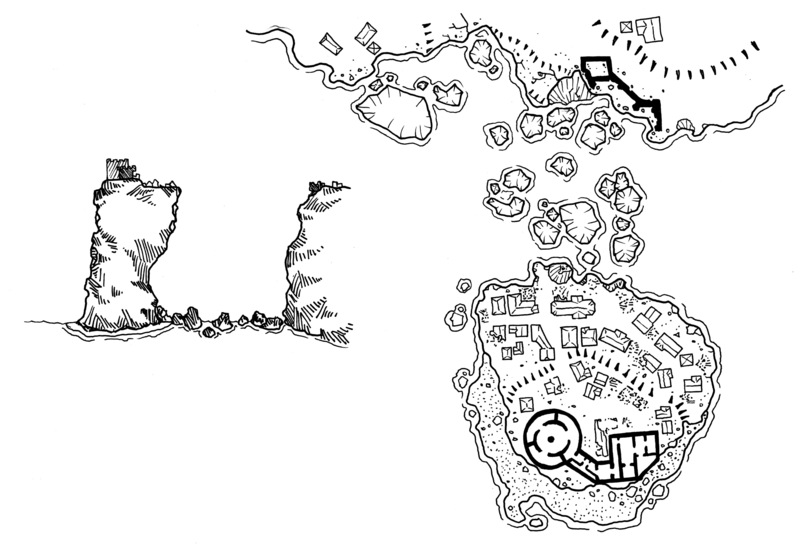 Thus, I redrew it during Mapvember, this time following the collapse of the arch. Hejmarko was built on a natural arch jutting into the Egret Sea. Since the last time the map of the town was posted, the waterfall from the Feino river has destabilized the arch and it finally collapsed into the sea, leaving the main fortress of Heijmarko (Jando’s Keep) isolated with some of the remaining town buildings and homes. Today the town buildings are almost all abandoned – a few people eke out a living, climbing their way up and down the spire to fish in the Egret Sea. More interesting to most adventurers, however, is that a warrior of the now-extinct Order of Ebon Huntsmen has set up home in Jando’s Keep, keeping his two griffon mounts on the roof of the tower. He has put out word that he’s seeking any other remaining members of the Order to gather at Hejmarko in order to begin operating as a mercenary company. Few trust the idea of the Order coming back together as they used to serve an active and evil warrior-lich… either shutting down the reviving order or infiltrating it are high priorities for a few organizations in the Kingdoms. I love the before and after comparison! Are there other maps you could do this with? There may be… We’ll see. I recently realized that I enjoy your stories at least as much as your maps. 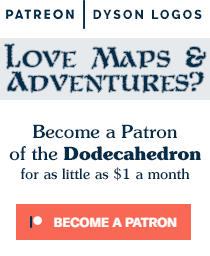 I would love to see you tie various sites and stories together in a campaign setting. Stats optional.